The paper investigates human decision-making, specifically what human brains tend to do when we are forced to deal with uncertainty or complexity. 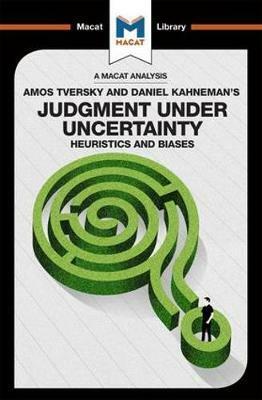 Based on experiments carried out with volunteers, Tversky and Kahneman discovered that humans make predictable errors of judgement when forced to deal with ambiguous evidence or make challenging decisions. These errors stem from `heuristics’ and `biases’ – mental shortcuts and assumptions that allow us to make swift, automatic decisions, often usefully and correctly, but occasionally to our detriment. The paper’s huge influence is due in no small part to its masterful use of high-level interpretative and analytical skills – expressed in Tversky and Kahneman’s concise and clear definitions of the basic heuristics and biases they discovered. Still providing the foundations of new work in the field 40 years later, the two psychologists’ definitions are a model of how good interpretation underpins incisive critical thinking.